There was a time long ago, before the Internet was available in your pocket and social media, when those who wanted to drive pickup trucks and work trucks drove manual transmissions. 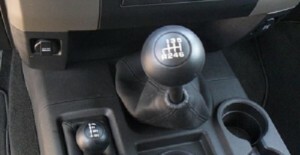 In today’s landscape, one company offers a manual transmission for those who still like to feel in control — RAM. RAM allows the Atlanta workforce to with the only manual-transmission three quarter-ton truck on the market if they so desire. Manual transmissions pair wonderfully with the legendary Cummins 6.7-liter I6 turbo diesel engine. Those who opt for the manual transmission on their new RAM from Atlanta Commercial Trucks will certainly possess a component exclusive to RAM. The G56 six-speed manual transmission puts the driver in control, and those who are skilled with the stickshift will love the increased torque workload. A wear compensating clutch helps create a like-new pedal performance throughout the lifespan of the drivetrain. Why pick a Cummins diesel engine? This engine is the epitome of diesel engine in a work truck. With this under the hood of a RAM 2500, you can get up to 17,980 pounds of towing, good for best in its class. The Cummins comes equipped with class-exclusive smart diesel exhaust brake. 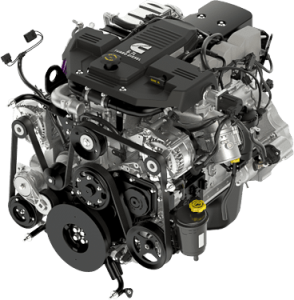 Diesel engines also allow longer intervals between oil changes, and the Cummins engine in RAM trucks can get up to a class-best 15,000 miles in between oil changes! When you do need your oil change, though, Atlanta Commercial Trucks will be ready to service your Atlanta work truck. Want to learn more about what a 2016 RAM ProMaster could do for your business? Contact Atlanta Commercial Trucks online today or call us at 678.251.2283. Atlanta Commercial Trucks has Georgia’s No. 1 RAM dealer behind it, so you know your RAM work vehicles will be in good hands every step of the way.